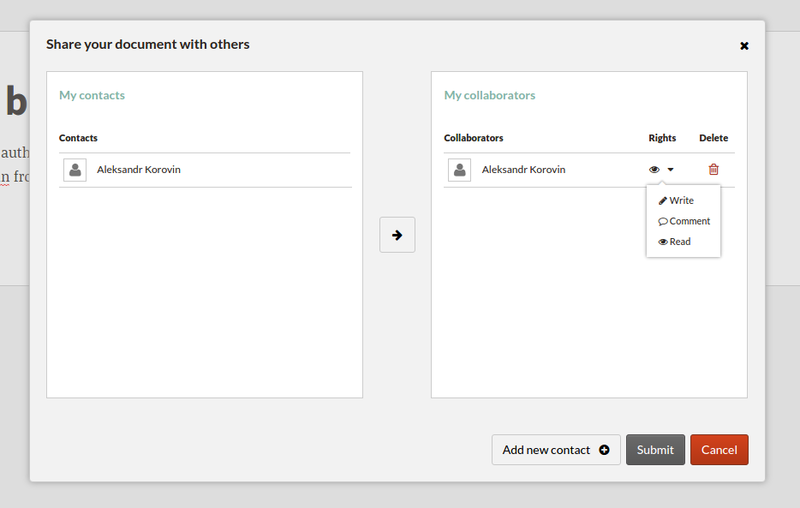 Getting closer to the 3.0.0 release, in beta 2, article authors can give comment only access rights to collaborators. This feature was mainly developed by Aleksandr Korovin from the OSCOSS project/University of Bonn. The share document dialog allows users to specify whether their collaborator can write, comment on or just read the document.